While I’m not big on New Years resolutions, I do enjoy taking time as a new year begins to reflect back on the previous year and see how I’ve grown. As the end of 2017 quickly approaches (and I’m sure I’m not the only one thinking thank goodness!) 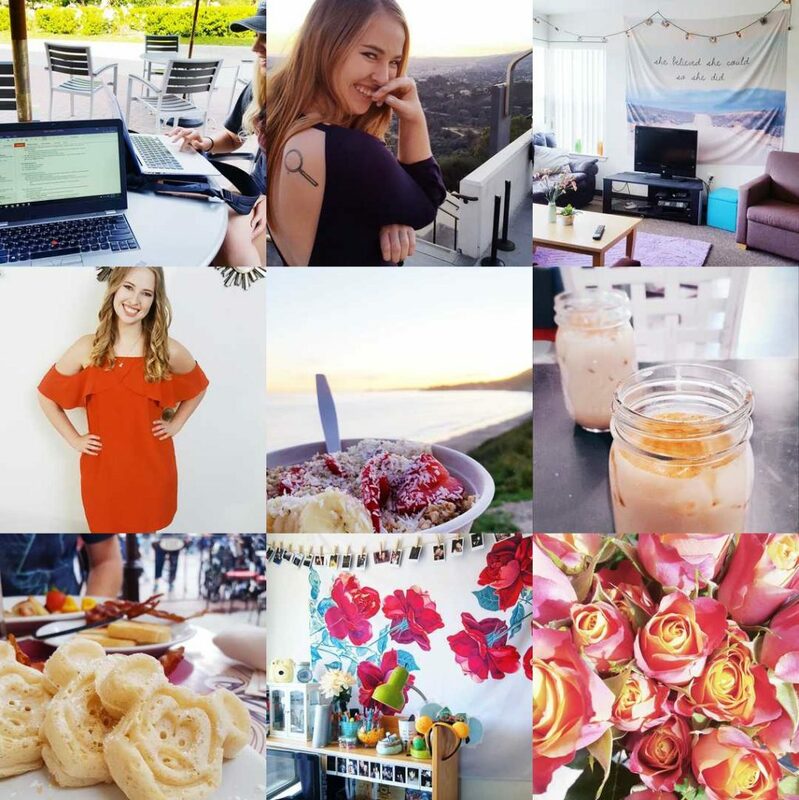 and 2018 is nearly here I thought it would be the perfect time to share a quick recap of some of the things that have happened in my life both on and off this blog throughout 2017. 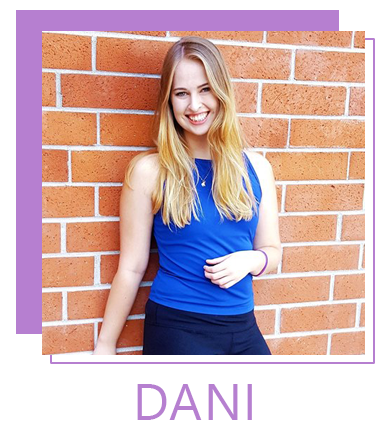 In 2017 I published a lot of great posts here on Dani Dearest, and received a lot of great feedback from you readers! I’ve learned what sort of posts you like to read, I’ve been asked some great questions that have inspired new posts, and I’ve already started planning some creative and helpful posts for 2018. 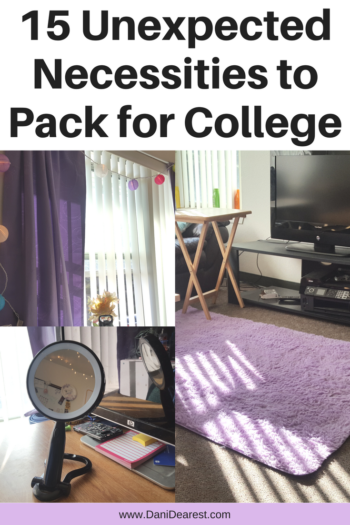 After 3 years of living in a dorm room, one of the most common questions that I continue to get asked is “what should I pack for college?” I decided to take that question and turn it into a helpful post by sharing 15 of my top suggested unexpected necessities to pack for college. 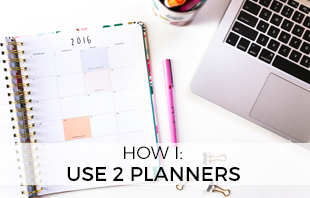 This post was a particularly fun one to write as I partnered with the amazing planner company Erin Condren. 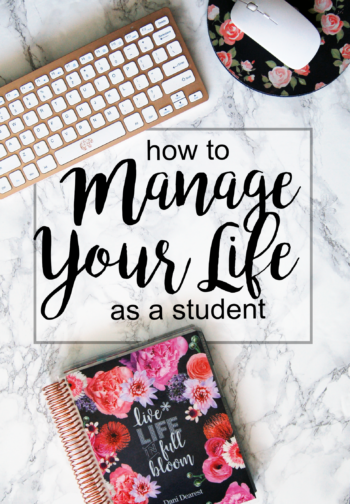 In this post I shared how I manage my busy life as a student – juggling classes, clubs, friends, jobs, and more. 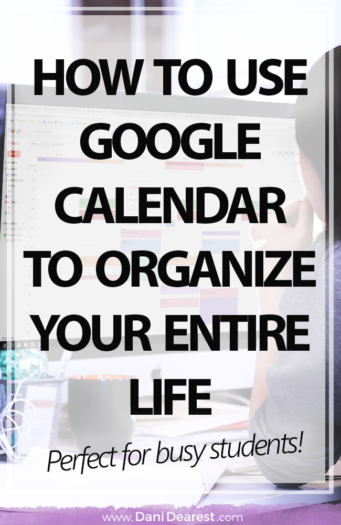 Lastly, my third most read post that I wrote this year, all about organizing your entire life with Google Calendar. 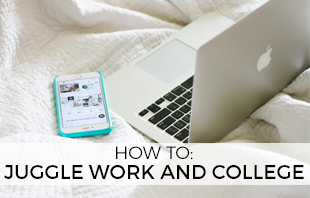 Google Calendar is literally one of the easiest tools to use to organize a busy schedule. This post is all about my top tips on how to use Google Calendar, especially as a student, to manage a crazy schedule. In January I rang in 2017 with my boyfriend Anthony and his family. Celebrated Anthony’s 21st birthday at Disneyland and the racetrack, and then I started the last semester of my junior year of college! This already feels like a lifetime away. In early February Anthony left for work for 3 months. This was really hard on me so I threw myself into my school and Her Campus work. March was a busy month for me. My Her Campus chapter threw our first big event, an International Women’s Day Celebration, which took up a lot of my time to plan and execute. This event ended up being a huge success and a ton of fun! In addition to that, my Her Campus chapter celebrated our 2nd birthday on March 17th. April was full of focusing on school work and my future career. I attended my first college career fair, which led to me landing my first internship. In addition to starting this internship, school deadlines started really picking up and I also worked on some great blog partnerships. Overall, April was a heavy working month for me! I also attended my last ever college Spring Formal (my school only has them every other year) which was a blast. Lastly, my Her Campus chapter received an award from my university for the best on campus student organization which was huge for us! May had a lot going on. In May I started working as stage manager on a local community theatre production, something I love to do in my free time. Anthony came home from work, I had my finals and finished off my junior year, moved out of my dorm, and moved in with Anthony! I also started taking an online college course to get ahead and complete my history requirement and save a little bit of money. In June I finished my online history course and had a chance to finally enjoy summer. I worked at my internship three days a week and in my off time Anthony and I did a lot of ‘theme parking‘ where we visited Disneyland or Universal Studios Hollywood. July 4th was my 21st birthday! I was lucky enough to spend it with some of my best friends having a low-key night at home and then spent the day afterwards at Disneyland and then at a concert which Anthony won tickets to. During July I was on stage crew for a local theatre production… during which I got injured. A set piece that weighed about 2,000 lbs rolled over my foot during the second performance – luckily nothing was broken but I had to drop out of the rest of the production. Two weeks later I opened another production, for which I was stage manager. This production was really special to me as it was in my old high school’s performing arts center, where I fell in love with theatre. In August I closed that theatre production and then two days later Anthony’s brother and sister-in-law came into town to get married. They had their wedding in our backyard and it was crazy, crowded, and so much fun. We did some more theme parking, I had the chance to work on some great blog partnerships, and I prepared for my senior year. September brought with it my first semester of my senior year of college! 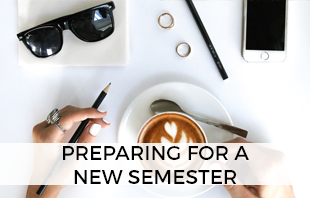 The beginning of this semester was particularly crazy as I was managing recruitment season for my Her Campus chapter – which takes an incredible amount of planning and work. This recruitment season was particularly special to me as it was my last one as President and was very successful! I also traveled by train for the first time ever, and went all the way to San Diego to visit one of my best friends (my honorary little sister) at her college! With October came Homecoming, my last one as a college student, and my last ever Monte Carlo dance. Shortly after Homecoming, Anthony had an interview for another out of state job and then a week later he got it! Halloween was bittersweet, as I had a lot of fun hanging out with my friends, but Anthony had to leave to go work the next day. November 1st Anthony left to go work out of state. During this job he lives on a tour bus and travels around the country, literally waking up in a different state every day. Getting used to living at his house without him, and getting used to his crazy schedule with only being able to contact him super late at night was hard for me. I threw myself into my school and Her Campus work to try to distract myself. Luckily, with this job, he was only gone for 6 weeks before coming back for a holiday break! December is always bittersweet. The holiday season is great, but we always have to get through final exams first. Luckily, Anthony was able to come home for the holidays. While he goes back to work at the end of January, for three months, I’m so glad to be able to spend time with him now! My final exams and projects were pretty easy, and I ended the semester with straight A’s which I am very proud of. I also stepped down from my position as president of my Her Campus chapter, I had spent the entire semester training two girls to take over for me. I’m still working at my internship and they have officially extended it through my graduation so I am excited to see where that goes! 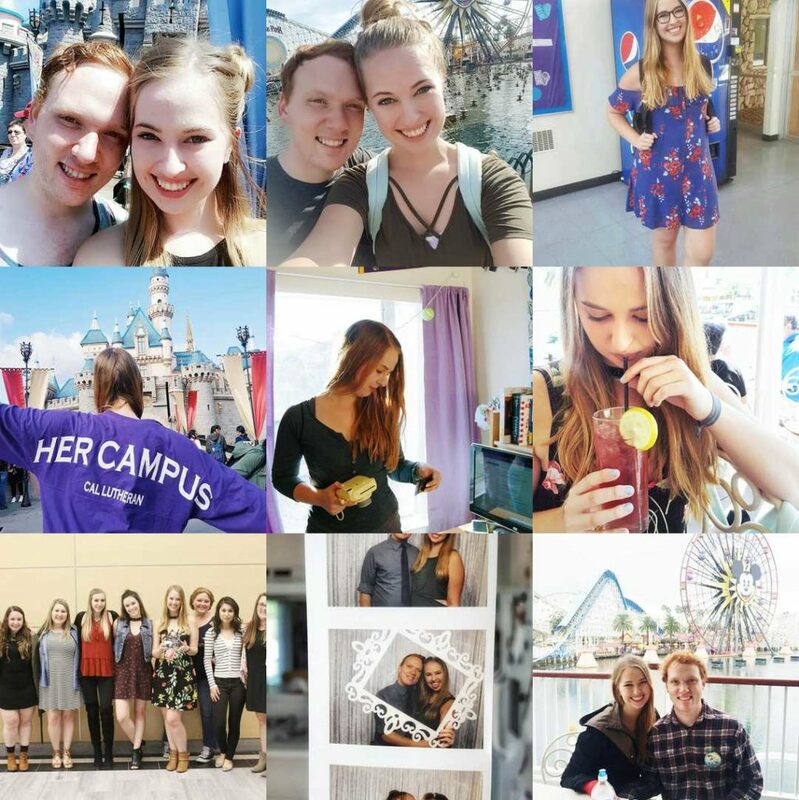 A few years ago the “best nine” of Instagram became a thing – using programs to determine the 9 most liked photos on your Instagram account for the year. I’ve always loved looking back at this as they are often some of the most important moments of your year… chosen by your followers! From a blog brand standpoint this also helps me realize what sort of content my followers like so it’s fun to look back on! 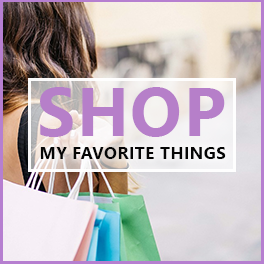 What was your favorite part of 2017? What are you looking forward to in 2018?